In the world of comics, no creator is more synonymous with the medium than Stan “The Man” Lee. During his revolutionary run at Marvel during the 1960s, '70s, and '80s, Lee was the driving force for the industry, creating hundreds of characters that made the company the preeminent comic book publisher on the planet. And from their humble four-sided-panel origins, some of these characters have since gone on to become bonafide pop-culture sensations, appearing in numerous TV shows, movies, and video games. Stan and his talented roster of co-writers and artists didn't just come up with catchy names and eye-popping costumes for these characters. He injected each one of his creations with fully-realized personalities that transcended the simple comic book heroes and villains at the time. Instead of just focusing on colorful fight scenes, Lee and co. also explored the personal lives of characters on both sides of the good/evil divide. Filled with guilt, angst, and neuroses, the characters of the Marvel Universe were the most human of all of the comic personalities out there, and Stan was the visionary behind that movement. This Wednesday, with Amazing Spider-Man #692, Marvel celebrates the 50th anniversary of Spider-Man, one of Lee's greatest creations. A worldwide icon, Spidey is a legacy character that any comic creator would love to have conceived of, and yet he's only one of many that came from the mind of The Man. 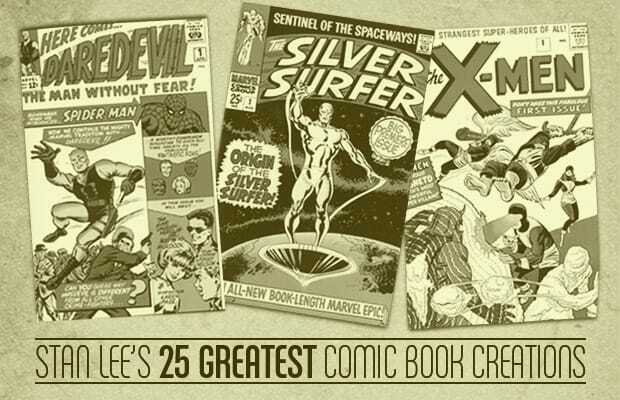 In honor of this milestone, Complex counts down Stan Lee’s 25 Greatest Comic Book Creations.